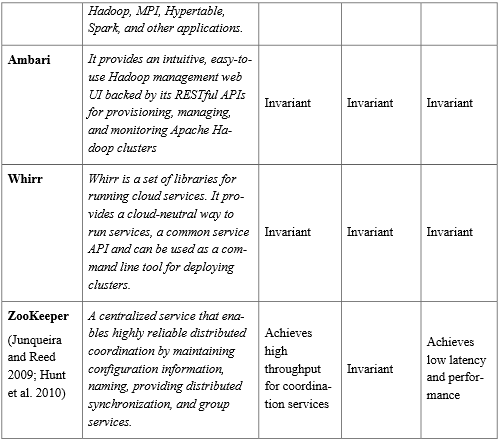 Comparison table for system management software (ZooKeeper, Serengeti, Mesos and others) for running big data platforms. This is a helpful resource for sysadmins and engineers trying to decide what option to go with for their custom mix of big data needs. 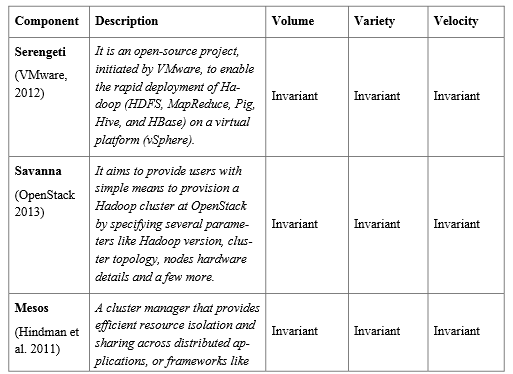 This is part 1 of 3 part series that will also look at comparison of other layers of big data platforms.